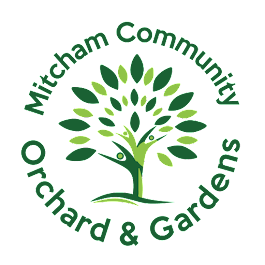 Mitcham Community Orchard and Gardens: "ROTAVATE FOR VICTORY"
Today we rotavated an extensive area in preparation for planting the wild flower meadow and reseeding grass. This was an arduous task in the beating sun, reminding one of the Kipling's veldt, whilst the ground coughed up barrow-loads of metal, wire, bricks and enough car parts to build our own kit car. Mother Earth seemed a sickly tuberculous patient expectorating her past abuse. Most areas had to be tilled twice given the difficult nature of the ground. There was not enough time, or physical resources, to do all areas that would have benefited, but you'll see the enormous area which was covered. Enormous thanks must be given to Jon who took a day off work to assist, when the promised help disappointingly failed to turn up on the day! Many thanks too, to Speedy Hire Services of Croydon, who donated the 8hp rotavator free-of-charge for the day and we do hope you'll reciprocate all our Sponsors' generosity and preferentially use their services over competitors. For without this local business support, the project's life blood will be cut-off and financial viability would cease.